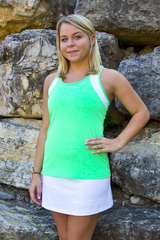 Below are smart looking tennis and active wear tops. 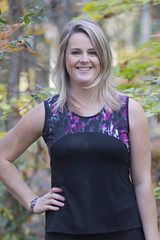 Clients can order what they see or custom design their own tennis tops or dress for free! 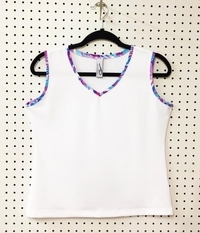 Change the color or fabric of the garment, trim, accent piece. 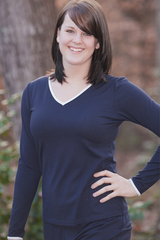 Shorten or lengthen your top or dress - all for no additional fee. Now petite, tall and plus sized women can design a look that works for them. 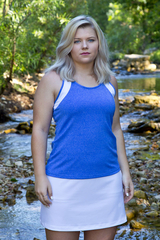 The Match Point Tennis Dress - NEW Low Price! 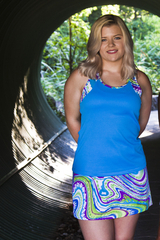 The Reversible Dewdrop Dress with Pockets - NEW Low Price! 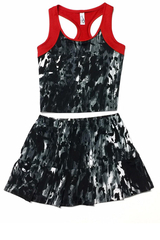 The Swing Tennis Dress - NEW Low Price! 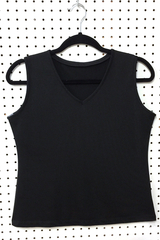 Size Small - Black V Neck Top - Lovely Price!